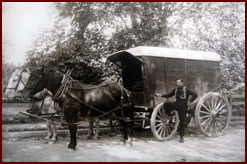 John G. MacLellan Oil Co. Inc. is a family-owned and -operated home comfort company established in 1927. We simplify our customers' lives by attending to every home comfort need, including heating, cooling and indoor air quality. We believe that customers should never have to think about their heating or cooling systems, and we take care of everything, so all you have to do is turn them on. Our customers enjoy superior comfort and fuel economy because we install advanced, high-efficiency equipment and achieve optimum performance through expert setup and tuning. The MacLellan Oil service team is rich in experience and knowledge. Our service managers and technicians receive excellent, ongoing training so that they are fully prepared to install and maintain today's sophisticated, electronically controlled equipment. Our technicians all live locally, so we can offer prompt response around the clock. Punctuality is a point of pride for our service team, and you can trust them to respond quickly and work efficiently. We have great respect for our customers' homes, and you can count on us to work neatly and perform installations that are as orderly and attractive as they are functional. MacLellan Oil is an established fuel supplier that understands the oil business. We ensure a dependable supply of Oilheat and diesel for all our customers with our 100,000-gallon fuel storage facility. In the event of severe weather, we will always have the fuel we need to keep you supplied. Dependable supply is the fuel dealer's first obligation, but reliability is nothing to take for granted. It is a little-known fact that many oil dealers do not maintain independent storage and instead send their trucks to a wholesaler's terminal every time they run out. In the event of a severe weather event or calamity, they might not be able to meet their customers' fuel needs. MacLellan Oil welcomes new customers. If you would like to experience the peace of mind of having a reliable supplier that provides attentive, proactive service, please click here to fill out our online form. New customers are always welcome at MacLellan Oil! When you become an automatic Oilheat customer of ours, we'll give you a two-year service contract for the price of one. A service contract provides the preventive maintenance your heating system needs, along with the assurance of 24-hour service, 365 days a year, and repair/replacement coverage for many of your system's vital components. Word of mouth is vital to the growth of MacLellan Oil, and we encourage our customers to tell friends and associates about the great value and service that we deliver. If you are telling friends about MacLellan Oil, please take advantage of our referral program. Every time a referral of yours becomes a regular MacLellan Oil customer, we'll send you a coupon to reduce your cost on future purchases. Please give us a call today or contact us online to refer a friend.